One of my favorite business school professors, Andre Perold, used to like to say that in every transaction in the financial markets, there are only two types of actors: wolves and sheep. As you might expect, the wolves have the edge in the encounter, due to superior market information or negotiating position. If you find yourself in a market transaction and don’t know for sure that you are the wolf, then, sadly, you are the sheep. Venture capital investors are historically accustomed to being the wolf. 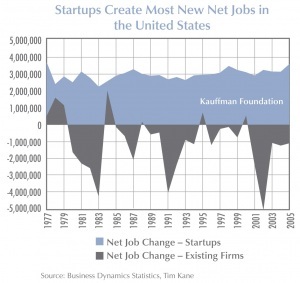 During most periods, there has been a supply and demand imbalance that favors the VCs. Entrepreneurs needed a lot of money, there were only a few VCs with money (it’s a shockingly small industry, with less than 500 or so active firms, according to the NVCA), and the VCs got to sit back and leverage their position of superior information and insight to choose their deals and drive favorable terms. In recent years, this imbalance has been turned upside down. Entrepreneurs need less capital – even life sciences and cleantech start-ups are applying lean start-up methodology to be more capital-efficient – and information about VC deals is more transparent than ever (15-20% of all VCs now have blogs and the amount of information publicly available about how the business works is easily 100x as compared to 10 years ago, when I was an entrepreneur raising VC money). Thus, for particularly “hot” companies, when there is momentum and competition, the entrepreneurs have become the wolves, and the VCs find themselves donning sheep’s clothing. As a result, many VCs – particularly bigger funds – are chasing “hot” deals aggressively, irrespective of price. Facebook, LinkedIn, Groupon, Zynga, Twitter and many others are able to raise capital at extraordinary valuations. For these investments to pay off, the investment thesis is based on a strong IPO in the future. But the wrinkle in these momentum investments is that the currently weak IPO market is stretching out time to liquidity more than ever. Thanks to their position as the wolf, founders (and angel investors) can often get liquidity from their late stage investors (particularly through Digital Sky Technologies – a Russian Bear in the transaction mix?). But the VCs, and in turn their LPs, are left holding an illiquid bag. One LP complained to me the other day: “The founders get liquidity, the angels get liquidity, and the pressure to go IPO is taken off the shoulders of the board and management team. All fine and dandy – but where’s my liquidity? !” A little IRR math shows the price of this elongated time to liquidity – a 5x return in 5 years yields a 38% IRR. If the VCs decide to allow founder liquidity and put off an IPO, they’re likely taking on an incremental 3-4 year holding period (most major shareholders don’t get liquid until 1-2 years after the IPO). To achieve that same 38% IRR in 9 years, a 20x return is required! If the founders take money off the table, they are incented to go for the bigger win and don’t mind taking the time to get there. But the early-stage VCs might certainly have preferred a $250 million exit and immediate liquidity to waiting four more years for the billion dollar exit – and the same IRR. Some VCs are well-positioned to chase the hot deals and patiently back the big winners. Others are better off investing in capital-efficient businesses and taking the $100-200 million exits when they come along, even if it means selling their best companies too soon (“We are suffering from PME – pre-mature exit,” one micro-VC confided with me last week). Which path is the right one? And who has the edge in the market flow in the coming years? No one knows for sure, and every situation is unique and must be evaluated as such. But with so many options to choose from, those entrepreneurs I’ve been noticing with larger fangs seem to be smiling more than ever before. Fred Wilson posted a blog last week regarding the "Two Venture Capital Industries" — observing that the Internet/software industry, where he invests, has undergone great change due to the lower-cost model (commonly known as the "lean start-up" movement) but the more capital-intensive industries, such as life sciences and cleantech, where the fundamental economic model has not been altered. The post is a great one, and it raises something I've been thinking a bit about lately, which is whether the lean start-up approach to building start-ups can be applied to industries beyond Internet/software. HBS Professor Tom Eisenmann is creating a course next spring on "Launching Technology Ventures" where he is going to delve into lean start-ups, finding product-market fit, what are the key start-up activities before product-market fit and what are the most important activities afterwards, and other salient topics. In my role as an EIR at HBS this year, I'm teaming with Tom on this course. The case studies will go beyond Internet/software start-ups in exploring how other sectors can apply lean start-up theory. One of the reasons I have so much personal conviction of the breadth of these theories is that there are two companies in our portfolio – one a clean tech and the other a life sciences – that have applied parts of the lean start-up methodology very effectively. Their stories help illuminate the opportunity for others. The clean tech company is Digital Lumens, recent Innovation award winner at the World Economic Forum. We seeded the company, and founding entrepreneur Jonathan Guerster, with a mere $500,000 to explore a thesis around software-controlled, industrial LED lighting. Jonathan recruited a technical team out of Color Kinetics and built a proof-of-concept. We then raised a $5 million Series A, hired an outstanding CEO (Tom Pincine), and the company built v1.0 of the product. With the success of v1.0 behind it, the company sought out a few customers to work through the kinks. Once that was done, and rapid product iteration cycles, the company raised a Series B and is now scaling sales operations. If you didn't know the company was a demand-side energy technology company, you would think the above description applied to a Web 2.0 company. Digital Lumens may require 10s of millions of dollars end-to-end, but just because it's a capital-intensive business, doesn't mean they couldn't apply lean start-up approaches to change the risk-reward profile for the early investors. Similarly, Predictive Biosciences has been on a lean start-up path. That sounds odd to say for a company that has raised a total of $56 million to pursue a very big vision for urine-based biomarkers (pee in a cup and Predictive will tell you if you have cancer – and what type). But the initial investment we and Highland made was a mere $500,000 each to spin the IP out of Children's Hospital, hire an initial technical team to build the product/prototype, and figure out which market to target and how. Only then did we raise a $10 million Series A, and even that capital was deployed in a very focused, test and learn fashion until the initial market (bladder cancer) was identified and vetted. Again, many of the same lean start-up processes that Mint.com or Xobni or others have deployed in the Web 2.0 would feel very natural to the dozen PhDs running Predictive. So, yes, the cost revolution impact to one type of VC investing has been enormous. But the lessons, frameworks and paradigms can be applied successfully to the "other" VC type of investing as well. City of the Global Innovation Economy! plug in to the community that surrounds you. tech, web 2.0, mobile, whatever. start-up game can be a lonely one. young, ambitious folks as you can find in the city. every day to fuel the young start-ups that are being incubated there. and learn about different business models. Greenhorn Connect and you’ll stay up to date on all the local buzz. which might be a useful orientation for you as well. a second act?) and generate our fair share of big winners (see: EMC, Akamai, Genzyme, TripAdvisor). emulate what we have is because of you. You keep it fresh, every September. out there and mix it up. I love Jackson Hole, Wyoming. It is one of the most extraordinarily beautiful settings in the world. 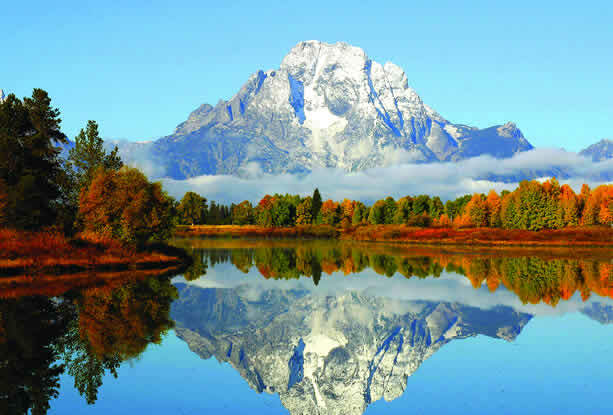 One cannot help being in a good mood when observing the breathtaking wildlife, open sky and the awe-inspiring Grand Tetons. So here’s what I don’t understand. If everyone, including the president, believes that supporting innovation and entrepreneurship is the best path forward, why aren’t the policy leaders taking action? Thomas Friedman of the NY Times has been hammering on this issue for the last year, calling on the president to “launch his own moon shot” and make innovation and supporting the start-up economy his top priority. But despite the obvious data and the presidential rhetoric, we are not seeing any action from policy leaders on either side of the aisle. It’s almost as if the policy makers think speeches exhorting innovation is more important than doing the hard work of pushing forward legislation that will actually positively impact the innovation economy. We need to make it easier for immigrants to start companies in the US. The Start-Up Visa movement addresses this issue squarely in the head and yet the bill proposed by Senators Kerry and Lugar six months ago (!) appears to be caught up in the more partisan immigration debate. Sarbanes-Oxley needs to be reformed. We may have had too little regulation of complex financial instruments like credit default swaps and other derivatives, but we clearly have too much regulation being imposed on the public selling of the securities of $100 million companies that are very simple for investors to understand. Why haven’t Facebook, LinkedIn, Zynga and many others gone public? It’s just too onerous and expensive. You want to unleash innovation? Make it one-third as expensive for small companies to comply with public regulations. There have been numerous proposals in the past to rethink Sarbanes-Oxley, we need to see some form of them come to light. Other important policy ideas have been put forward by the National Venture Capital Association (NVCA) and others – such as patent reform, increased investment in broadband, increased investment in NIH funding, reforming the FDA approval process. The amazing thing to me is that none of these ideas – and many others floating around the entrepreneurial community – require big dollars. Instead, they require big leadership. Where is that leadership going to come from? Who will be our champion for entrepreneurship? Ted Kennedy played this role in health care. John McCain played this role in campaign finance reform. Who will step up and be the champion for entrepreneurs? We have two former venture capitalists in the Senate and House (Mark Warner and Scott Murphy), a former high-tech entrepreneur in the Senate (Maria Cantwell) and a former venture capitalist running the Small Business Association (Karen Mills). They probably know what to do to unleash innovation in this country, but they’re just not empowered. Why not cut through the hierarchy of party leadership and have the president create a special Bipartisan Commission on Entrepreneurship – similar to what has been done on September 11th and Deficit Reduction? When President Clinton was elected in 1992, he convened a televised economic summit, bringing together the best minds on the economy and conducting, in effect, a “national teach-in” for the broader public. Let’s have the president convene an Entrepreneurship Summit – invite top entrepreneurs, VCs, angel investors to sit alongside policy leaders – and have TechCrunch.tv broadcast it. Discuss immigration reform, Sarbanes Oxley reform, FDA approval streamlining and all the rest. Imagine the impact that would have and the focus this would provide. Faced with criticism that he’s not in touch with business, President Obama has had a series of CEO lunches at the White House. When you examine the list of invitees, it is shocking how few are entrepreneurs. I counted two (Jeff Bezos and Howard Schultz) among 28. And none of them are in the business of helping create the small businesses that create jobs. The president’s lunch list needs to change radically and instead invite the leading thinkers in entrepreneurship and innovation to a series of lunches. If accomplishing nothing else, it would force Brad Feld to wear a tie. When you look at the exciting progress being made in global broadband access, the Human Genome, ubiquitous wireless access and devices, energy innovation and so much more – it is clear that we are living in an extraordinarily unique time, truly a golden age for technology and innovation. If only we could get our policy leaders to take big actions to match their big rhetoric. Then next year’s Jackson Hole conference might be a lot more fun for everyone. This blog post first appeared in PE Hub. You can follow me on Twitter: www.twitter.com/bussgang.